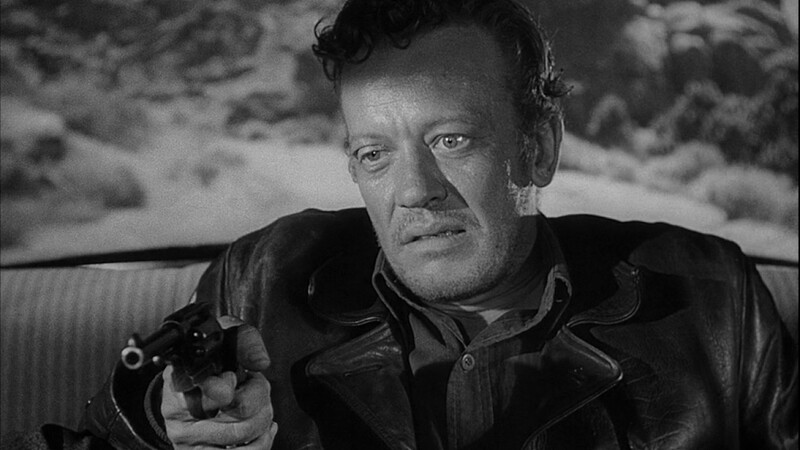 Marking yet another occasion when Lupino’s career broke new ground, The Hitch-Hiker is widely regarded as the first film noir directed by a woman. Inspired by the facts around the real-life case of killer Billy Cook, it stars Edmond O’Brien and Frank Lovejoy as two men whose act of kindness is punished when they are forced to aid a sadistic psychopath attempting to elude authorities following a killing spree. 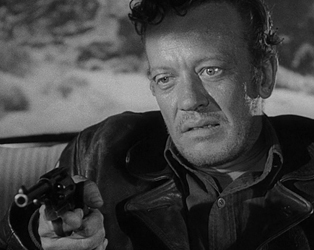 As the murderer pushes to its limits a friendship he cannot understand, Lupino creates a bleak, tense atmosphere, expanding on the genre’s claustrophobic nature by shooting largely on location in the open desert.